#63 Art Acrylic 8ml jars. -2018 Series. 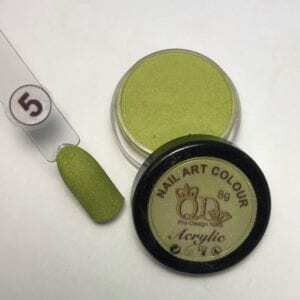 #63 Acrylic 8ml Art Colours , specifically designed, with just the right amount of pigment for perfect flowers, animals and all types of art. Your clients will love it! Your work makes you unique. If you did them just the same as everyone else, then you just would not be YOU! 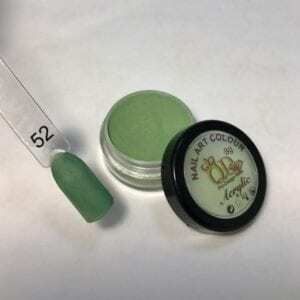 You understand that to be in demand your nail service and nail applications must make an impact. They need to scream amazing!. 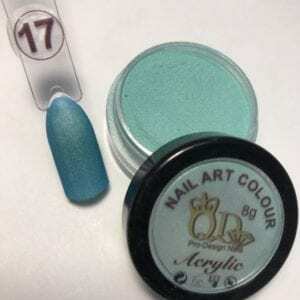 Therefore it is most fortunate that QD has developed a wonderful range of Acrylic 8ml Art Colours. 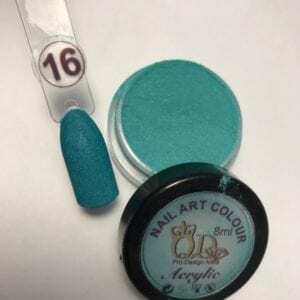 Utilising the best quality colour art acrylic powders. Our spectacular factory situated in the USA produces for our brand simply the best art acrylic powders you can find. So you can produce the amazing art forms and nail enhancements you want! 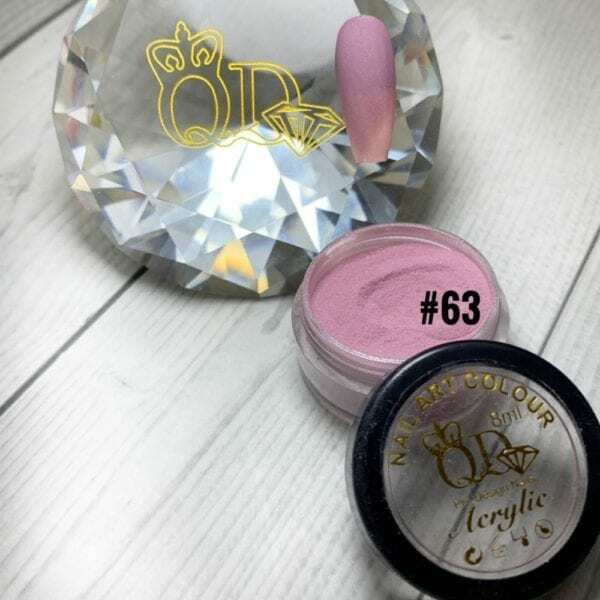 QD art acrylic overlay powders are thoroughly tested to ensure you get the gold standard in not only colour but clarity, strength, retention, non-yellowing and non-bubbling finish you need to create your most amazing colour acrylic forms. We have so many different colours allowing you the room to express yourself. Want to create a one of a kind deep and modern art form? 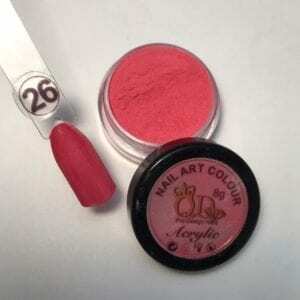 We’ve got countless shades of red, black, purple and more colour art powders. Maybe flowers with a whole lot of bling and a sparkle? 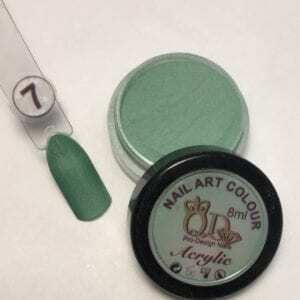 Or are you after a shade that will stop passers by as well as your competition with one a single look? You can with QD art colours! Welcome to a world of colours. All that remains is for you to pick the colour that you love. All our wide ranging art colours may be used in combination with our equally fantastic art monomer. Durable long lasting colours just what you have been looking for. QD art overlay has been sculpted over forms then finished with QD Carbyne top coat, for all photos. These photos, please be aware, whilst of the exact product you will receive, may not appear exactly as the pics. It is impossible to do these colours true justice in a photo and they will of course be slightly different depending on your screen. #26Acrylic Art Colors. 8ml jar. #17 Acrylic Art Colors. 8ml jar. #52 Acrylic Art Colors. 8ml jar. #07 Acrylic Art Colors. 8ml jar. #24 Acrylic Art Colors. 8ml jar. #16 Acrylic Art Colors. 8ml jar. #53 Acrylic Art Colors. 8ml jar. #05 Acrylic Art Colors. 8ml jar.